This is me during my basic training, I am seated on the front row, 5th from the right. This is only a very short history of my career. I joined the Royal Air Force in September 1970, originally to be trained as a General Mechanic. 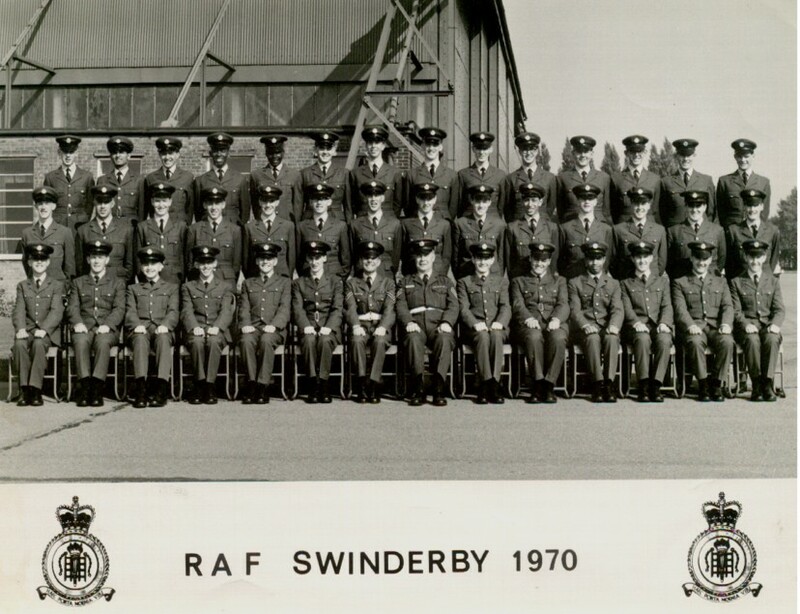 I undertook my 6 week basic training at RAF Swinderby, Lincolnshire. Afterwards I was posted to RAF St Athan in Wales to complete my engineering training, however, after some weeks I decided that it was not for me and after a spell working in the Guardroom, I eventually remustered to RAF Police. I completed my Police training at RAF Debden, the then RAF Police Depot, in August 1971. 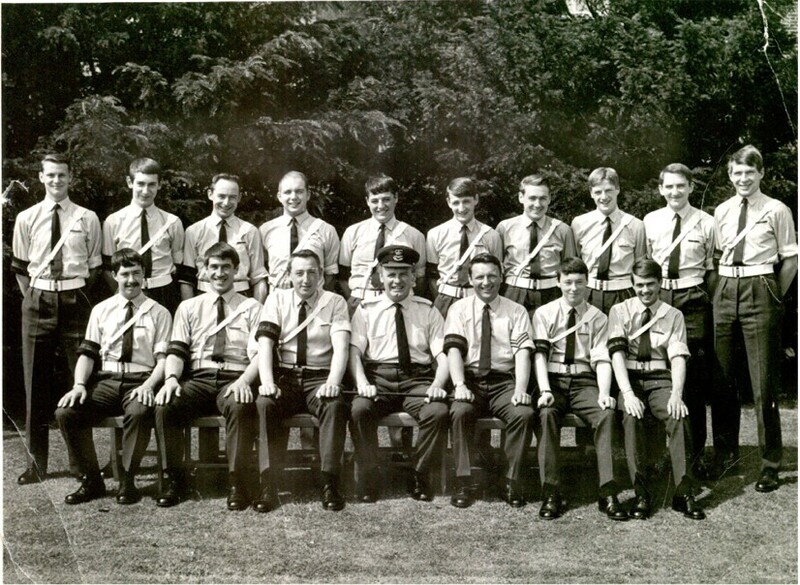 No.7 Basic Police Course-August 1971, I am on the back row 6th from the right. If you recognise anyone you know in the above picture, e-mail me for a chat. Click here to visit the RAF Police Association site.